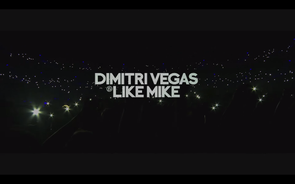 On the 19th and 20th of December, Dimitri Vegas & Like Mike showcased to a home nation crowd their new global tour concept – Bringing The World The Madness. Taking over Antwerp’s Sportpaleis Antwerpen for a double header of shows the duo gave fans, and the many watching in via the official live stream, an introduction to their live tour show. Apparently over 40,000 fans turned up as the duo unveiled their first official world tour project and gave revellers a feast of top production. Featuring a slew of new releases, alongside an array of favourable party edits and mash-ups, the show also featured a surprise guest appearance by Dim Mak head honcho Steve Aoki who joined the Belgian brothers to form part of their 3 Are Legend act. Designed and powered by the team behind, Tomorrowland, this new global adventure will see Dimitri & Mike circumnavigate the globe in 2015 and bring their Smash The House flavours to hopefully a ready army of party-goers.